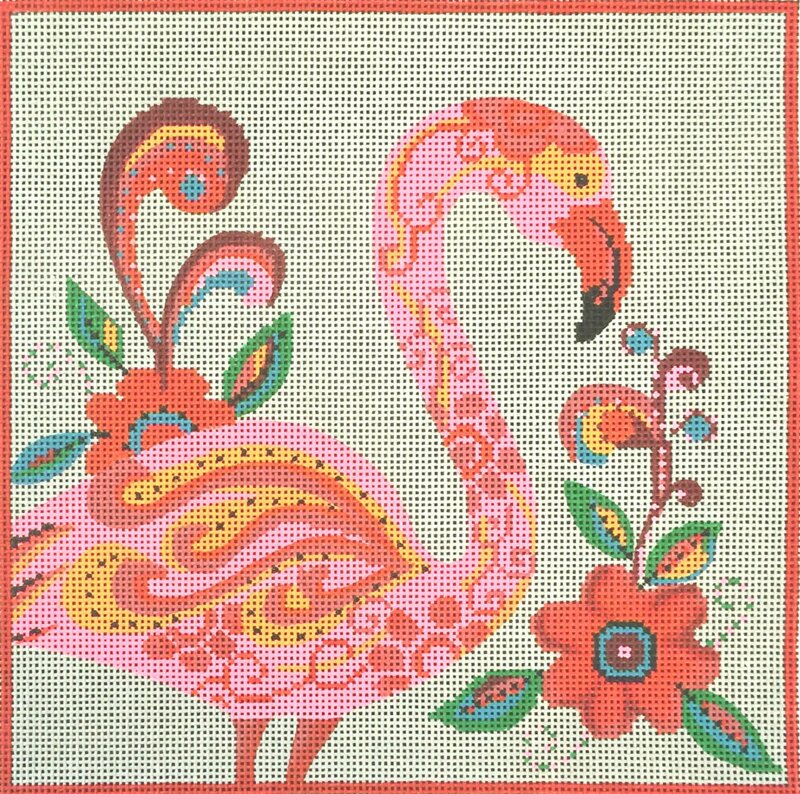 This Fancy Flamingo AP2762 needlepoint canvas by Alice Peterson features a pink flamingo in a folk art style. A perfect gift for a young girl. The design area measures 10" x 9.75". If you want stretcher bars to hold your canvas taut while you stitch it (optional) we recommend two pair of 14" and some thumb tacks.